It’s great to see high quality Isle of Wight produce being recognised at a national level, as the Great Taste Awards 2018 are announced. Congratulations are in order to Isle of Wight based, Jasper’s Artisan Coffee, who is among the Great Taste winners of 2018. Great Taste are the world’s most coveted food awards and celebrate the very best in food and drink. 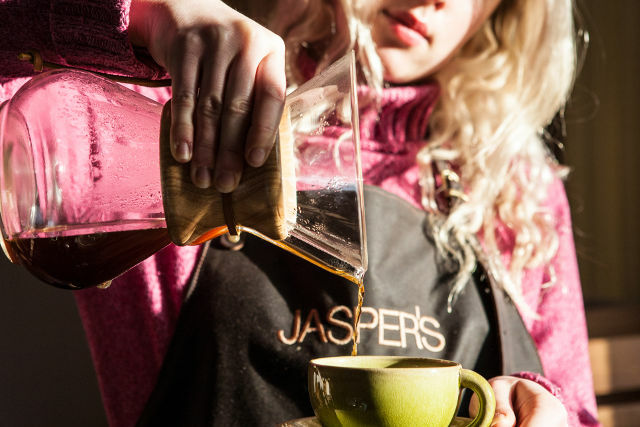 Out of over 12,600 products to be judged, Jasper’s Artisan Coffee was awarded 2-star Great Taste award, which means judges dubbed it above and beyond for its Cloud9 Espresso Blend. Jasper’s were also joined by a handful of other Isle of Wight producers, who also picked up stars in the Awards. “We are delighted with this award. It shows yet again that the high quality coffees that we offer, as a small Island roastery, are recognised at a national level. We should also thank the businesses across the Island that sell our produce and we look forward to adding the Cloud9 to the range.